Location Identifier is a highly robust, scalable and reliable platform that determines the location of the subscribers in an operator's network. The platform database is highly flexible and accommodates latitude/longitude resolution, if the infrastructure is available in the network. Once the service is launched, operators should consider the provision of services that can be accessed and used by customers of other networks in the same market. By doing this, operators can increase the chances of LBS becoming a mass-market services rather than remaining a niche product. Provides entertainment features like games, buddy services, restaurants, cinemas and chatting. Provides position details like, emergency services - 'Any doctor near by? 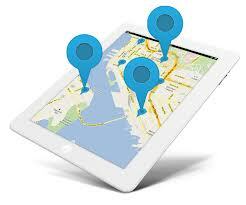 ', location based rate plan and location based authentication. Broadcast of traffic status and promotional events in the area. Provides an overview of tourist destination in the area, nearest ATM, bus stop, bank, metro station, and restaurants. Easy to use GUI for operators and administrators to manage individual or group messages, and subscribers. A system that keeps a detailed log of all actions, and provides comprehensive reports regarding system usage, and the activity of each subscriber. The system can run under a load balancing architecture between multiple LBS platforms. Provides hardware, software, and link level redundancy. In addition, it supports certain other services like Buddy Tracker, Yellow Pages, Fleet services, M-coupons, Treasure hunt and Dating.